Are you a manger, team lead, or simply part of a team? Do you want to drive change in your organisation and make an impact in your industry? We’ve put together some top tips for you ahead of our annual conference on 26 April in the Aviva Stadium. Whether you want to be a great leader, or bolster your professional profile, the key is effective communication. If you want to change the status quo in your organisation you need to speak up and be heard. You must learn to positively communicate your goals and ideas and share your vision with your team. If you could benefit from improving your communications skillset, then you need to attend our communications masterclass with Anton Savage at our conference on 26 April. Building relationships is vital to bolster your professional profile and effecting change in your organisation. If you build a strategic network of business professionals around you, it can benefit you in a multitude of ways, from developing your business skills, to identifying new opportunities for you and your company. Our upcoming Conference provides the opportunity to network with other industry leaders in Ireland - previous attendees at our conference include Three Ireland, Microsoft, Deloitte, EMC, PwC, Yahoo and PepsiCo. To navigate and drive change, project leaders are rethinking the desired outcomes of their programmes. 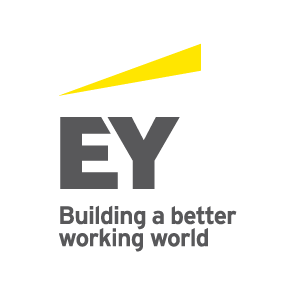 To ensure that you are equipped to become a change-maker in your organisation we look forward to hearing from guest speaker, Marcus Gageby of EY Ireland at our upcoming conference. Marcus will share insights into how you can drive performance and achieve project outcomes and other tangible benefits with purpose led transformation. Social media is a great way to develop your professional profile and reach new audiences. LinkedIn and Twitter in particular can help you to connect with industry leaders and share your opinions. If you are not using social media, you could be missing out on opportunities to position yourself as a change maker and thought leader in your field. If you do have a social media presence, make sure to reach out and engage with us on Twitter: @pmiirl and LinkedIn. Use #PMICHANGE to join the conversation during our upcoming conference and meet other Irish change makers. Continuous learning can not only improve your professional profile and enhance your CV, but it can inform your decision making and help you to stay ahead of the game. Knowing industry trends and becoming an early adopter of new techniques can help you to develop the skillsets required to drive and manage change in your organisation. The PMI Ireland Chapter provides many educational opportunities for our members. We urge you to take these opportunities to build your skillsets. For those who require PDUs, you can earn 8 PDUs for your attendance at our upcoming conference on 26 April. · Dr Norah Patten, who is on course to become Ireland’s first ever astronaut. · Gerald Fleming, chair of the Public Weather Services Programme at the World Meteorological Organization. · Anton Savage, noted broadcaster and MD of The Communications Clinic. · Marcus Gageby, partner at EY Ireland.